Artificial turf technology has advanced significantly, and some research suggests newer surfaces are as safe as grass, if not safer. But in other reports, including a high-profile NFL study, turf has been associated with higher rates of lower extremity injury. Twenty years ago Chicago Bears wide receiver Wendell Davis attempted to leap for a pass against the Philadelphia Eagles. But the AstroTurf in Philadelphia’s Veterans Stadium grabbed hold of his shoes, cementing him to the carpet. Davis ruptured both of his patellar tendons on what was a noncontact career-ending play. Yet, artificial turf has served many purposes since its introduction nearly a half-century ago. It’s cost-effective. It survives indoors. It’s consistent. It’s aesthetically pleasing. It’s an alternative to bodies slamming into the frozen tundra. There also have been many turf technology advances over the years. The benefits, however, have not come without considerable debate, particularly regarding risks of lower extremity injury. The risk-reward analysis and controversy continues today with the advancement of third-generation turf that’s touted as comparable to grass–“looks like grass … feels like grass … plays like grass!” Previous research supported the assertion that newer-generation artificial turf was a great improvement over the older-generation, injury-causing surface that’s been described as glorified carpet laid over a pad, laid over a slab of concrete. The original turf systems of the 1960s, sometimes referred to as first-generation turf, were short-pile fibers without infill. The next wave of artificial turf, generally called second-generation turf, featured sand infills. Third-generation systems, which are most widely used today, have simulated blades of grass with infills made of polyethylene fibers over a mix of sand and rubber particles. There is even a fourth-generation turf, which is an unfilled and typically low-cost version. Calhoun, GA-based FieldTurf has popularized newer-generation artificial turf, which is used by 21 of 32 NFL teams. High schools and colleges are also part of FieldTurf’s business. The company reports that it has 60% of the market for artificial turf, which frequently covers multiservice fields that act as a football field one day and a soccer field the next. “That’s where artificial surfaces have an advantage,” said researcher Mike Meyers, PhD, who is an assistant dean of the Department of Business, Education, and Wellness at the College of Western Idaho in Nampa. While there is literature that reports there may not be a difference between general injury rates for grass and infill turf surfaces, recent studies have shown that artificial surfaces have higher injury rates than natural grass for specific lower extremity injuries. “Right now, the numbers seem to indicate that there’s a higher incidence of noncontact ACL injuries on artificial turf,” said Neal ElAttrache, MD, a sports medicine surgeon at the Kerlan-Jobe Orthopaedic Clinic in Los Angeles. ElAttrache also is the team physician for the Los Angeles Dodgers, and an orthopedic consultant to several professional sports teams and the Professional Golfers Association Tour. “If you’ve got ideal conditions, I can’t think of any situation where Field Turf would be better,” ElAttrache said. But the turf surface in and of itself isn’t necessarily responsible for an increase in lower extremity injuries. There are many variables. The sports that are typically played on these surfaces involve complex loading, running, jumping, and cutting patterns that are influenced by a multitude of factors, including player technique, shoe-surface interface, and weather, said Jason Dragoo, MD, an assistant professor of orthopaedic surgery at Stanford University School of Medicine in Palo Alto, CA. “The etiology of the injuries that occur in these sports cannot be explained by the surface alone,” Dragoo said. Elliott Hershman, MD, lead author of the NFL study, also acknowledged other possible factors contributing to increased knee and ankle injuries on FieldTurf. “These injuries could be happening for myriad reasons, and we need to further explore and initiate research into exactly why this is happening,” Hershman said in a news release. Meyers agreed that additional analysis is warranted. He also suggested that, ideally in such a study, players should have equal exposure to the control condition (grass) and the experimental condition (artificial turf) during the same time period. In the NFL study, however, more than 4000 games were played on grass compared with 1356 played on FieldTurf, Meyers said. Meyers, meanwhile, conducted two studies—in high school2 and college football3 players—that showed no statistically significant differences between the surfaces with regard to most injury categories. Published in 2004 in AJSM, the five-year study of high school athletes found no significant difference between surfaces for lower extremity injuries, but that ACL injuries (with or without associated tissue damage) were twice as likely to have occurred on natural grass as on FieldTurf. In that study, 62.5% of team games were played on grass. In the three-year study of college football players that appeared in the April 2010 issue of AJSM, 50.5% of team games were played on natural grass. 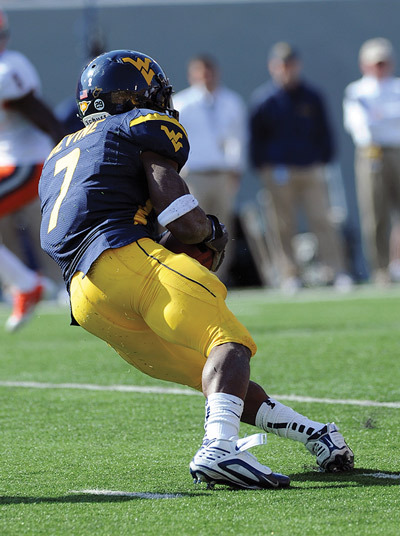 That study found that artificial turf was associated with significantly lower incidence of minor, substantial, and severe injuries than natural grass; there was no significant effect of playing surface on traumatic knee injuries, but there was a significantly higher rate of distal tibiofibular ligament sprains on grass than on FieldTurf. But Mark Drakos, MD, an orthopedic surgeon at the Hospital for Special Surgery in New York City and former assistant team physician for the New York Giants, disagreed. He said the NFL study adjusted the data according to each player’s exposure to grass, turf, or both. The NFL data are collected through its Injury Surveillance System. Teams’ athletic trainers and physicians record data about a player’s injury, including the severity of injury, activity at the time of the injury, and time lost as a result. “They have to report these injuries whether they’re contact or noncontact, which plays a role,” Drakos said. Drakos also pointed to the relationship between shoe and surface. Meanwhile, Drakos pointed out that, while the NFL numbers were sent to a third-party statistician for validation, FieldTurf’s partial funding of Meyers’ studies suggests a conflict of interest. “The best study that’s out there is the NFL study with regard to injuries on these different surfaces,” Drakos said. While stressing that further investigation is required, researchers in the November 2012 issue of The Physician and Sportsmedicine suggested it could be inferred that high school and college football are not indicative of the torque and violence of the NFL game, in which players carry more mass and generate more power.7 Drakos said it’s not known if the results of the NFL’s 10-year study are generalizable to other levels of football. However, Dragoo said the results are more generalizable within a sport than between sports. As noted earlier, artificial turf is a multiservice surface—something that makes it particularly attractive to high schools and universities. Besides football, it’s also used for soccer, baseball, softball, field hockey, lacrosse, and rugby. Although a 2009 review found that playing on artificial surface versus natural grass was a risk factor for noncontact ACL injuries8 in soccer, in which most ACL tears are noncontact in nature, other studies have shown no significant difference. Meyers chalked up those assertions to tradition. “Typically, they’re still mired in the artificial turf problems of the seventies and eighties, and they’re not looking at the statistics and the research,” he said. “Their studies for the first time showed the important role that the interaction between a shoe and the playing surface has in noncontact sports injuries,” Wei said. Finding a balance between performance benefit and injury risk is necessary, Wei said. “To do so, of course, more studies need to be done as football shoe and surface designs continue to update,” he said. Drakos has studied the effect of synthetic playing surfaces and the shoe-surface interface on lower extremity injuries in athletes, including the aforementioned 2010 study in the Journal of Biomechanical Engineering in which researchers used cadavers to test four different shoe-surface interfaces. The study concluded the cleat and natural grass combination produced less strain in the ACL than other shoe-surface combinations, possibly because of less traction generated on grass. The researchers theorized that the favorable biomechanical properties of the cleat-grass interface may result in fewer noncontact ACL injuries than turf shoes on grass or either shoe on artificial turf. This difference may be due to the rotational traction that occurs between the shoe and surface during certain injury mechanisms, but solutions may be approaching the red zone. 1. Hershman EB, Anderson R, Bergfeld JA, et al. An analysis of specific lower extremity injury rates on grass and FieldTurf playing surfaces in National Football League Games 2000-2009 seasons. Am J Sports Med 2012;40(10):2200-2205. 2. Meyers MC, Barnhill BS. Incidence, causes, and severity of high school football Injuries on FieldTurf versus natural grass: a 5-year prospective study. Am J Sports Med 2004;32(7):1626-1638. 3. Meyers MC. Incidence, mechanisms, and severity of game-related college football injuries on FieldTurf versus natural grass: a 3-year prospective study. Am J Sports Med 2010;38(4):687-697. 4. Drakos MC, Hillstrom H, Voos JE, et al. The effect of the shoe-surface interface in the development of anterior cruciate ligament strain. J Biomech Eng 2010;132(1):011003. 5. Dragoo JL, Braun HJ, Harris AH. The effect of playing surface on the incidence of ACL injuries in National Collegiate Athletic Association American Football. Knee 2013;20(3):191-195. 6. Dragoo JL, Braun HJ, Durham JL, et al. Incidence and risk factors for injuries to the anterior cruciate ligament in National Collegiate Athletic Association football: data from the 2004-2005 through 2008-2009 National Collegiate Athletic Association Injury Surveillance System. Am J Sports Med 2012;40(5):990-995. 7. Taylor SA, Fabricant PD, Khair MM, et al. A review of synthetic playing surfaces, the shoe-surface interface, and lower extremity injuries in athletes. Phys Sportsmed 2012;40(4):66-72. 8. Alentorn-Geli E, Myer GD, Silvers HJ, et al. Prevention of noncontact anterior cruciate ligament injuries in soccer players. Part 1: Mechanisms of injury and underlying risk factors. Knee Surgery Sports Traumatol Arthrosc 2009;17(7):705-729. 9. Ekstrand J, Timpka T, Hägglund M. Risk of injury in elite football played on artificial turf versus natural grass: a prospective two-cohort study. Br J Sports Med 2006;40(12):975-980. 10. Bjørneboe J, Bahr R, Andersen TE. Risk of injury on third-generation artificial turf in Norwegian professional football. Br J Sports Med 2010;44(11):794-798. 11. Soligard T, Bahr R, Andersen TE. Injury risk on artificial turf and grass in youth tournament football. Scand J Med Sci Sports 2012;22(3):356-361. 12. Williams S, Hume PA, Kara S. A review of football injuries on third and fourth generation artificial turfs compared with natural turf. Sports Med 2011;41(11):903-923. 13. NFL Players Association. 2010 NFL Players Playing Surfaces Opinion Survey. Available at https://images.nflplayers.com/mediaResources/files/Surface%20Survey%202010.pdf. Accessed April 30, 2013. 14. Torg JS, Quedenfeld TC, Landau S. The shoe-surface interface and its relationship to football knee injuries. J Sports Med 1974;2(5):261-269. 15. Lambson RB, Barnhill BS, Higgins RW. Football cleat design and its effect on anterior cruciate ligament injuries. A three-year prospective study. Am J Sports Med 1996;24(2):155-159. 16.Bentley JA, Ramanathan AK, Arnold GP, et al. Harmful cleats of football boots: a biomechanical evaluation. Foot Ankle Surg 2011;17(3):140-144.